Anca Neacșu, was a model in Romania before her marriage. She later joined a mobile service provider, somehow ventured into weapons trade and defense supplies business; you may not have followed that she was arrested and put in Tihar Jail, Delhi. Elsewhere, the daughter of the founder of Chinese telecoms giant Huawei has been arrested in Canada and faces extradition to the United States. MengWanzhou, Huawei's chief financial officer and deputy chair, was arrested in Vancouver on 1 December.Details of the arrest have not been released but the US has been investigating Huawei over possible violation of sanctions against Iran.China's embassy in Canada protested at the arrest and demanded her release.Huawei said it had little information about the charges and was "not aware of any wrongdoing by Ms Meng". The arrest comes at a sensitive time for US-China relations. The nations are engaged in a trade war that has seen both impose duties of billions of dollars on one another's goods.The arrest will not help the 90-day tariff truce the nations agreed after President Donald Trump and his Chinese counterpart Xi Jinping met at the G20. More important news for the Nation is - Christian Michel James, a key accused in the Rs.3,600-crore Agusta Westland VVIP chopper deal case, landed in New Delhi late Tuesday night after being extradited to India in an operation under the supervision of National Security Advisor AjitDoval, The Economic Times reports.The decks were cleared for his extradition by the UAE government after his last legal appeal against the move was turned down by a local court in Dubai.Michel has an open non-bailable arrest warrant issued against him by the special judge, Patiala House Court.In a press release, CBI said that the operation was coordinated by its interim director M Nageswara Rao and a team led by A Sai Manohar, Joint Director-CBI was in Dubai to oversee the extradition. Michel’s involvement in the chopper deal came to light in 2012. He was identified as the middleman who swung the deal in favour of Agusta Westland by making illegal payment of commission/kickbacks to the Indian authorities.CBI alleged that Michel, a frequent visitor to India, operated as a middleman for defence procurement through a wide network of sources cultivated in the IAF and Defence Ministry at different levels, including retired and serving IAF officials.The investigating agency also charged that Michel colluded with the then IAF chief, SP Tyagi, and his family members who abused their official positions by reduction of service ceiling of the VVIPs helicopter from 6,000 metres to 4,500 metres. 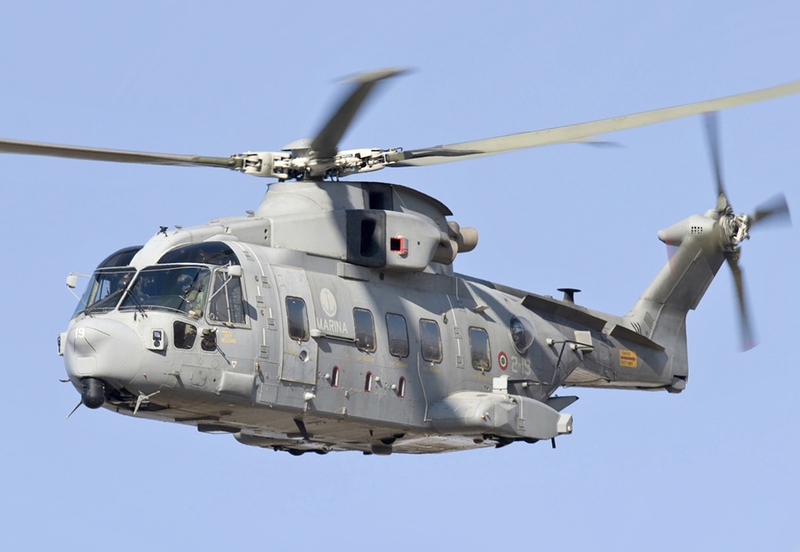 The reduction in ceiling made Agusta Westland eligible for contracts worth 556.262 million Euros, which were awarded to it by the Defence Ministry on 8 February 2010 for the procurement of 12 VVIP helicopters. Media reports further state - Michel’s links in the Indian defence circles are inherited from his father Wolfgang Max Michel Richard. Wolfgang Max Michel Richard is a British businessman who was very active in India between the 80s and 90s and was known to have enjoyed close proximity to the Congress party.Guido Ralph Haschke, the second middleman in the deal, was the Director of a real estate firm (Emaar MGF) owned by relatives of Kanishka Singh, who is associated with a Congress high-up. A chargesheet relating to this case, filed in an Italian court, talks about a “family” getting around Rs 150 crore as a kickback from the helicopter manufacturer. Haschke stopped visiting India after 2011 when his name cropped up in the Italian probe. TOI carries report that - Christian Michel, extradited “unconditionally” by UAE on Tuesday, “aggressively” denied paying bribes to any UPA leader or defence ministry official as suggested in his purported handwritten notes, but admitted to taking money from AgustaWestland, which he said was a “consultancy” fee. Officials familiar with his interrogation said Michel had not disclosed names of any “beneficiaries” of bribe. Claiming he was “dyslexic”, Michel told CBI officers he couldn’t write and the ‘bribery’ notes listing alleged payments to politicians and bureaucrats were penned by Guido Haschke, another European middleman.The notes, also part of the Italian court judgment, had described Congress leader Sonia Gandhi as the “driving force behind the VIP (choppers)”, adding “she will no longer fly with MI-8”.Michel further said in the notes that besides Sonia, Peter Hulet (then-India region sales head of AgustaWestland) should ‘target’ then-PM Manmohan Singh, then defence minister Pranab Mukherjee and Sonia’s political secretary Ahmed Patel.A second note, titled ‘budget expenditure items’ and dictated to Haschke in 2008, mentioned acronyms of individuals who were to be allegedly paid bribes totalling 30 million euros. The mentions included ‘FAM’ and ‘AP’, both mentioned under a head captioned ‘POL’ which Italian investigators interpreted as referring to politicians. Michel accused Haschke of framing him on these notes. According to the CBI chargesheet, Michel had signed two agreements with AgustaWestland — one for €42 million (which he later reduced to €30 million) and the second for €28 million— to lobby with the “family”. Family here was a reference to former IAF chief !! .. .. “Michel claims these were consultancy contracts and there was nothing wrong in it. But he is not able to explain what he did with the rest of the money after deducting his 5% commission,” the CBI officer said. In another matter of shame, a red-faced Congress, expelled lawyer and Youth Congress member Aljo Joseph from the party after he appeared for AgustaWestland middleman Christian Michel in a Delhi court on Wednesday.Announcing the expulsion after Joseph’s appearance for the scam accused triggered a controversy, Congress joint secretary in charge of the youth outfit, Krishna Allavaru, said, “Joseph appeared in his personal capacity and did not consult the Youth Congress before appearing in the case. IYC does not endorse such actions.”IYC spokesman Amrish Pandey sought to downplay the row, saying Joseph was an ordinary member and it was regrettable that BJP had chosen to turn it into an issue. However, it was clear that Congress felt the heat of the controversy, especially with the rival stoking it ahead of polling in Rajasthan on Friday. Saffron ideologue S Gurumurthy tweeted, “Implicit confession by Sonia family of involvement in AgustaWestland. Lawyer for middleman Christian Michel is Aljo Joseph, national legal in-charge of Indian Youth Congress. Party officebearer to argue for the middleman suspected to have received money for the ‘family’.”Appearing for Michel, Joseph told special judge Arvind Kumar that he had been authorised to appear on the United Kingdom citizen’s behalf and was given five minutes to hold discussion with his client inside the courtroom. For those who had not followed up this scam (natural when one is drowned reading about so many scams of the previous regimes) –AgustaWestland was a helicopter design and manufacturing company, a wholly owned subsidiary of Leonardo S.p.A. The collaboration between Agusta and Westland dates back to 1981. In early 2013, an Indian national parliamentary investigation began into allegations of bribery and corruption involving several senior officials and a helicopter manufacturer AgustaWestland surrounding the purchase of a new fleet of helicopters. The scandal has been referred to as the Chopper scam or Choppergate by elements of the media and popular press. Several Indian politicians and military officials have been accused of accepting bribes from AgustaWestland in order to win the ₹36 billion(US$500 million) Indian contract for the supply of 12 AgustaWestland AW101 helicopters; intended to perform VVIP duties for the President of India and other important state officials.Ahmed Patel, political secretary to Congress President Sonia Gandhi, is alleged by Italian prosecutors to have received kickbacks from the deal. After a huge controversy and allegations of corruption, then Defence Minister A.K. Antony, ordered an investigation by the Central Bureau of Investigation(CBI). In Feb 2013, CBI registered a Preliminary Enquiry (PE) against 11 persons including the former Indian Air Force Chief, Air Chief Marshal S.P. Tyagi, and his cousins, besides four companies. In 2013, billionaire Indian arms dealer Abhishek Verma and his Romanian born wife AncaNeacsu(of whom you read in 1st para) were named suspects in this scandal. Abhishek had played the role of a middleman in the deal and had interfaced with the politicians in securing CCS clearance from the Cabinet Committee. Now with Christian Michel, extradited “unconditionally” from UAE, some skeletons could stumble out or .. .. .. this case too, could get closed like many before.